I have gone on record as saying that Trevor Denyer (editor of Midnight Street Magazine) had written the best ghost story I have ever read. 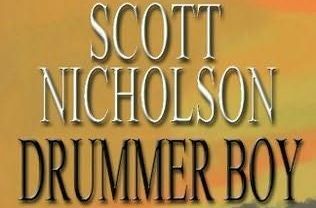 Now Denyer is going to have to share that praise from me with Scott Nicholson, because Nicholson's Drummer Boy is one of the two best ghost stories I have ever read. 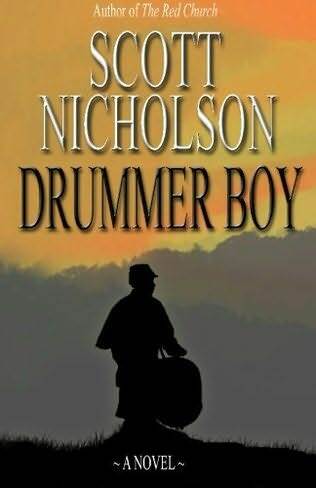 Drummer Boy by Scott Nicholson has it all: great writing, great pacing, great suspense, great character development (seen through the eyes of two thirteen-year-old boys), and best of all, some really great ghosts. Drummer Boy is an exciting, old-fashioned ghost story about two boys in the South who live near The Hole. The Hole is a cave where Civil War fighters found shelter...until part of it caved in on them and killed them a century and a half ago. Although rumors of hauntings existed over the last hundred-and-fifty years in the area, the dead Confederate soldiers pretty much stayed quiet....until the land around The Hole began being bulldozed in advance of urbanization. One of the Confederate soldiers had been a deserter who got away, and that just could not be tolerated by the others. So when released by the bulldozers, the ghosts began their search for the deserter. What really adds to the creep factor is the long-dead drummer boy who cannot always be seen but is so often heard; a boy-ghost so loyal to his regiment that neither time nor death can stop the ratta tatta tat. This book shines above the rest because Nicholson sees through the eyes of Vernon Ray, the son of a harsh man who cares more about his Civil War relics than his own child. And there is also Vernon Ray's best friend Bobby. But it is Vernon Ray who steals the show, because Nicholson expertly captures the pre-teen angst and insecurities about sexuality for this boy, and it pains the reader's heart at how badly Vernon Ray would like to be loved, or at least noticed, by his father. Vernon Ray is the misfit who is meek and afraid, but finds inner strength and determination by relating to the long dead Confederate drummer boy. Normally The Horror Zine does not review books written by best-selling authors (of which Scott Nicholson is), because they already have plenty of publicity to spare and our mission is to support and promote the lesser-known writers. But The Horror Zine has made an exception in this case because Scott Nicholson has started his very own publishing company titled HAUNTED COMPUTER BOOKS, so that qualifies him as a SMALL PRESS! And I have to admit, I am glad to give space in The Horror Zine to Drummer Boy, because, after all, it is one of the two best ghost stories I have ever read. And isn't it becoming increasingly difficult to find a really good ghost story any more? You can buy Drummer Boy HERE. 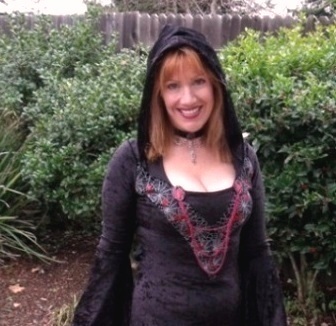 Scott Nicholson is the author of 10 novels, including The Red Church, The Skull Ring, Disintegration, and They Hunger. A "Writers of the Future" grand prize winner and winner of the Stoker Award for Best First Novel, he's also written three story collections and six screenplays. Scott works as a journalist and freelance editor in the Blue Ridge Mountains of North Carolina. Scott is the editor of Write Good Or Die.